Last summer on a wine-tasting visit to Bellet in the hills above Nice I tasted and bought some of Domaine de la Source’s delicious pâte d’olives made with the local cailletier black olives. The French term for this little treat in a jar translates into English as the rather less glamorous-sounding olive paste and, what’s more, sourcing olives from the Nice area here in the UK is not straightforward. Never one to be deterred however, I have soldiered on making my own pâte d’olives since Domaine de la Source’s jar ran out within days of returning home last August, and I’ve used more readily available varieties of olive (couchillo, kalamata) with a reasonable amount of success. Then a couple of weeks ago I had a lightbulb moment while researching the influence of North African flavours on the cuisine of Provence, which led me to try preserved lemons in the recipe to give a kick of freshness to the oiliness of the olives. The results were impressive. 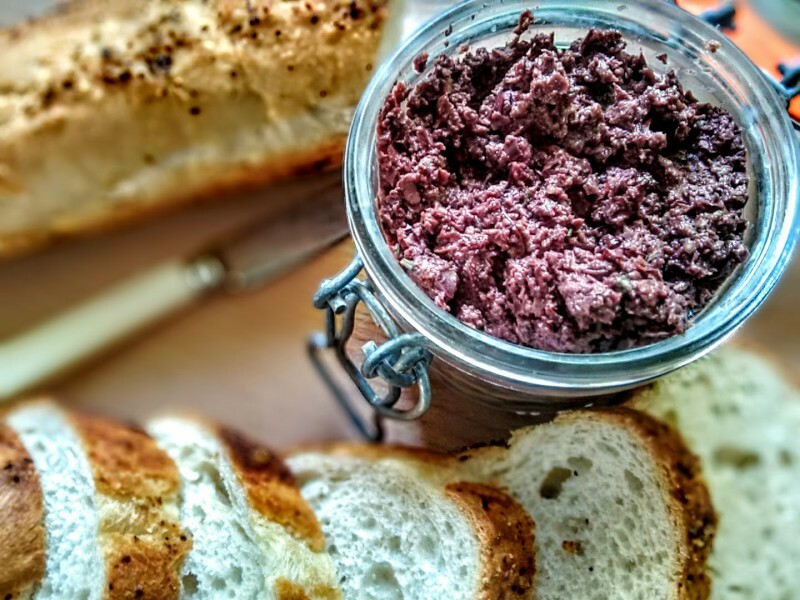 This pâte d’olives is superbly moreish and ideal for spreading ‘neat’ on crostini for a traditional provençal canapé which is equally irresistible with an additional topping of mi-cuit tomatoes or prosciutto crudo. Taking this idea a step further, why not toast a few rounds of baguette on one side, top the untoasted side with a generous spoonful of olive paste and a slice of goat’s cheese then stick the whole lot under the grill for a few minutes until the cheese is bubbling and oozing all over the place. Served with a lightly-dressed green salad, you’ll enjoy a perfect lunch in no time. And bowls of spaghetti adorned with the olive paste and some prawns or squid always meet with happy faces and empty plates. One word of advice though: if you’re looking for an olive-based sauce to accompany roasted lamb, I would go for the full-blown tapenade which includes anchovies and capers in the mix. 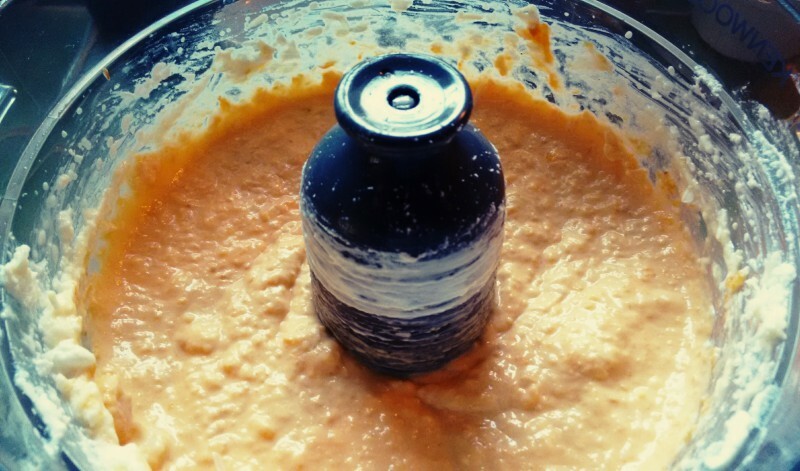 Put all the ingredients into a food processor with a metal blade and process until blended together. I keep my paste quite chunky but you can blend it to a smoother texture should you prefer. As we start to come into the tomato season, more in the Mediterranean areas than here in the UK of course, I’ve been turning my attention to tomato recipes. 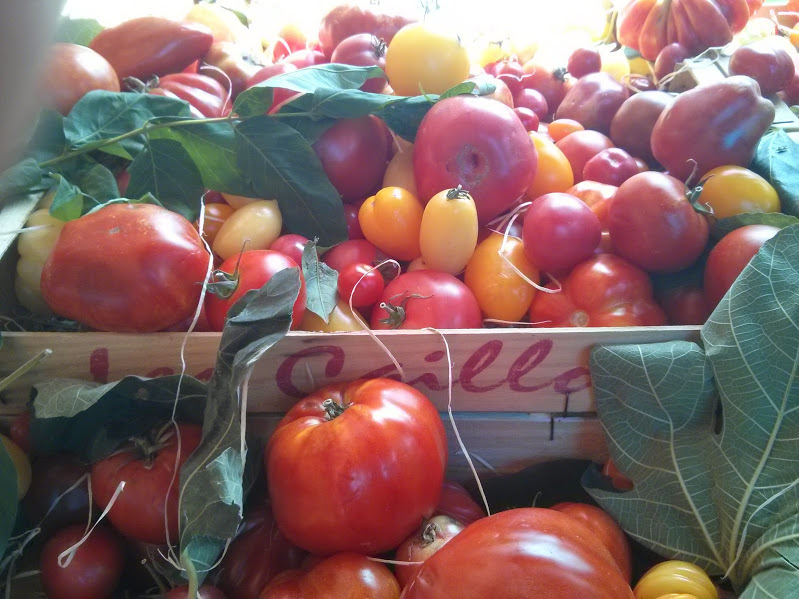 When tomatoes first appeared in Italy in the 1600s they weren’t adopted by peasants as a daily food because they weren’t seen as being as filling as other vegetables and it wasn’t until the mid-1800s that tomatoes began to feature in Ligurian cookbooks. The tomato marched north after arriving in Italy and the French took to them more easily putting an aphrodisiac spin on them and calling them pommes d’amour. Today tomatoes are widely used in the cuisine of both countries in salads, daubes, ragus, tarts, sauces and soups. They are routinely stuffed, sun-dried, preserved and roasted but one simple recipe that makes an appearance on my table several times each summer is tomates provençales. Perfect when served alongside an anchovy and garlic studded roast lamb, these crispy, herb-topped tomatoes are just as good served as a light lunch with a hunk of pain de campagne to mop up the juices. This tasty little dish seems to me to be the epitome of simple Provençale cooking, making the most of available ingredients in season and adding herbs and olive oil to impart a distinct regional feel. Look out for the many colourful displays of tomatoes in the region’s markets at this time of year, pick up a bag for yourself and have a go. This recipe is based on Mireille Johnston’s version in her book ‘The Cuisine of the Sun’. 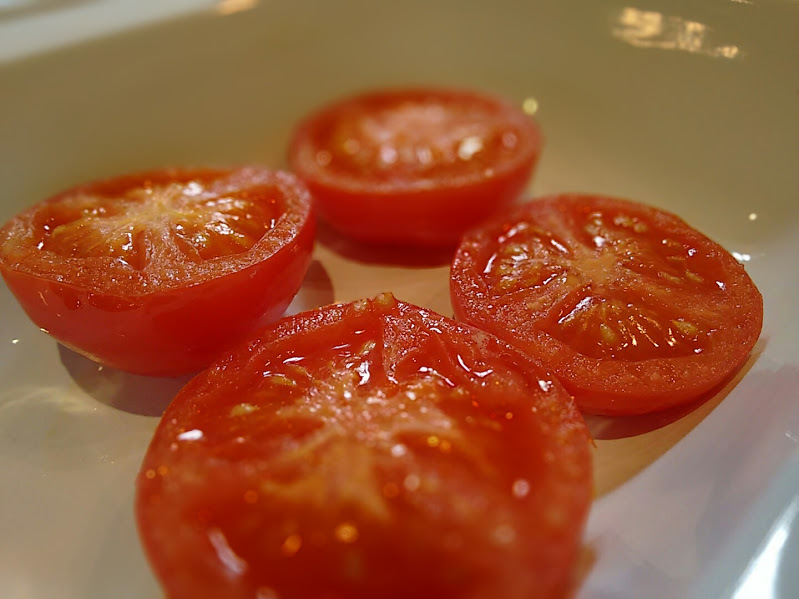 Slice the tomatoes through their middles and drain them, cut-side down on kitchen towel. 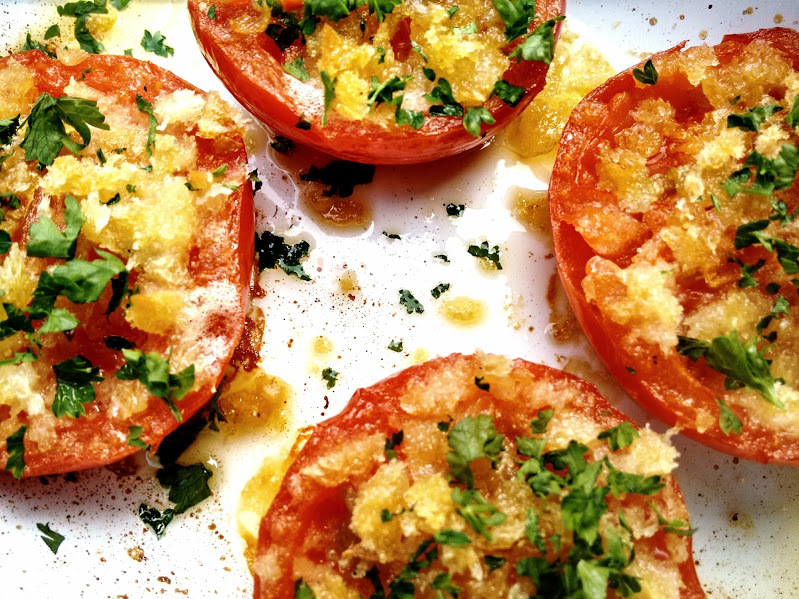 Fry the tomatoes, again cut-side down, in a little olive oil for five to ten minutes on a medium heat. Place them in a baking tray, cut-side up this time and sprinkle with the herbs, garlic, and breadcrumbs. Season with salt and pepper, drizzle with olive oil and pop into the oven at 190°C for twenty minutes until the tomatoes are crispy and golden on the top. 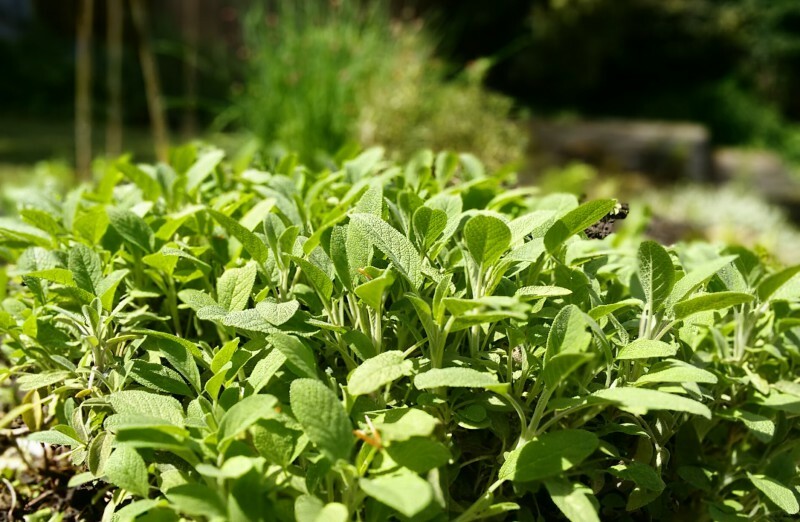 This is a very quick post for a very quick and easy canapé dish that showcases the abundant crop of green salad leaves and delicate herbs flourishing at this time of year. 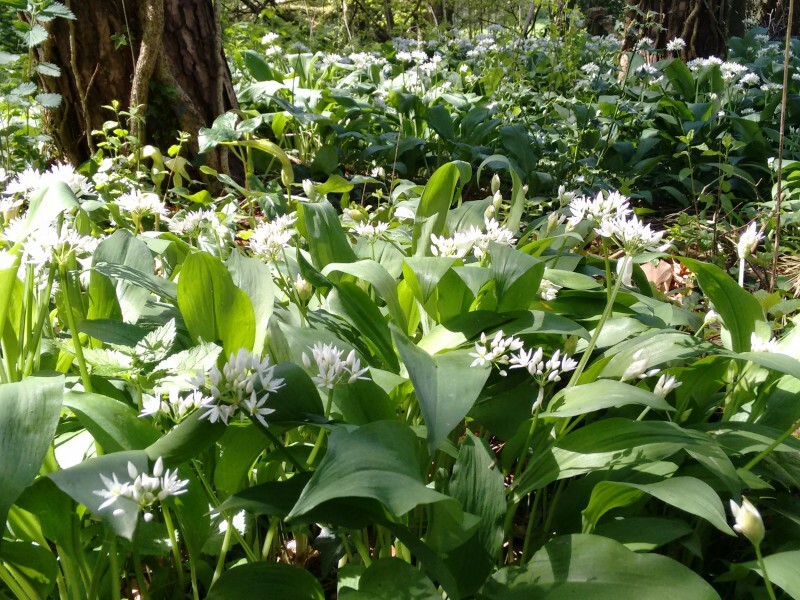 Here in Dorset, we have wild rocket, basil, chives, mint, peashoots, wild garlic and sage in the garden and the local woods, so I have been making the most of them. Recipes for beignets are common to all my provençal cookery books be they recent publications or older, more traditional recipe collections. Most of the recipes I have consulted involve frying a single piece of vegetable such as courgette or aubergine, but we need not limit ourselves here. A myriad of ingredients lend themselves to battering it seems. I’ve come across recipes featuring anchovies, salt cod, potatoes and courgette flowers (see my chickpea flour version of the latter here) and let’s not get sidetracked right now by sweet beignets…..
Eggs are almost always used in the batter mix but the simple recipe below uses just ’00’ pasta flour and sparkling water to bind the chopped herbs and leaves. 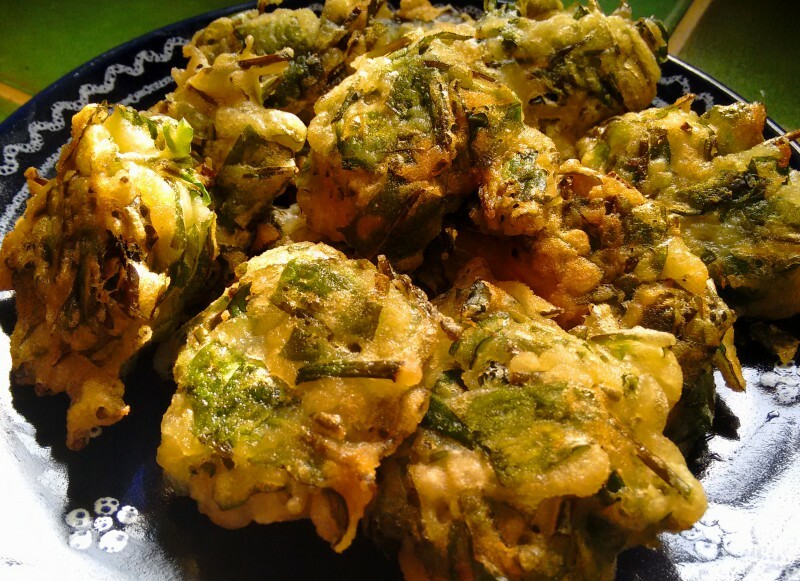 These herby fritters are packed with spring flavour and the simplicity of the batter makes them light and not too filling. 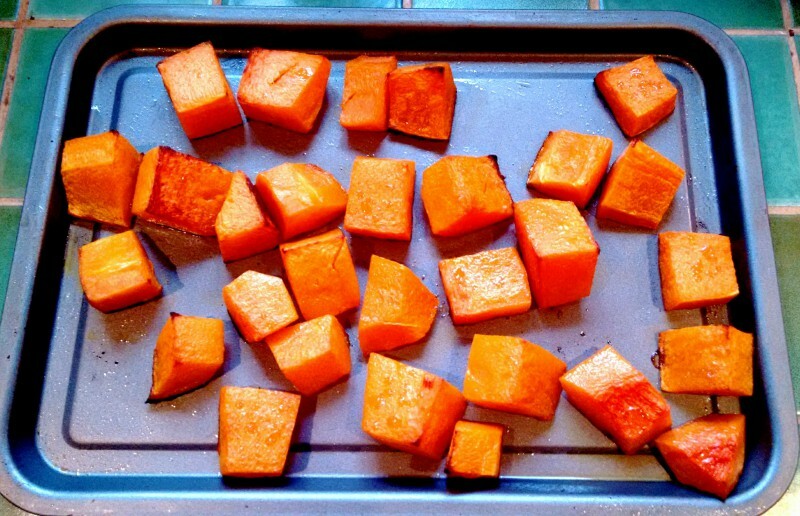 Serve them hot, just out of the pan with a glass of rosé (Tavel worked for us) or fizz. A little aïoli, pesto or fresh tomato sauce on the side as a dip is always popular too. I used rocket, basil, chives and a little sage for my beignets this time but you can use whatever you have to hand or what’s available locally. 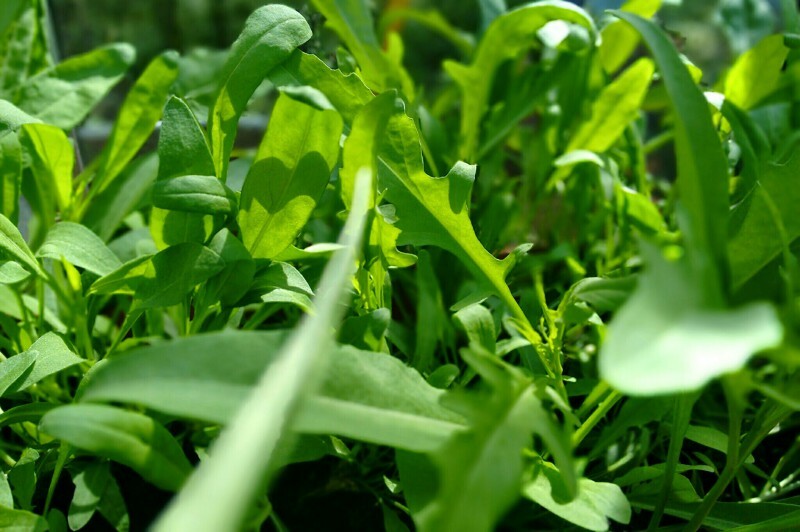 Spinach and chard work well with some flavoursome herbs to accompany them in the mix. Rinse the leaves, pat them dry and then roughly chop them. Whisk together the flour, sparkling water and salt, then add the leaves to the batter and mix thorougly. Heat the oil in a deep frying pan and, once it is hot, add a teaspoon-sized, test ball of the batter. If the batter mix sizzles nicely, you know the oil is ready. Gradually add desertspoon-sized portions of batter, but don’t overcrowd the pan – four to five at a time works well. Turn the fritters in the oil until they are crisp all over and lightly browned. 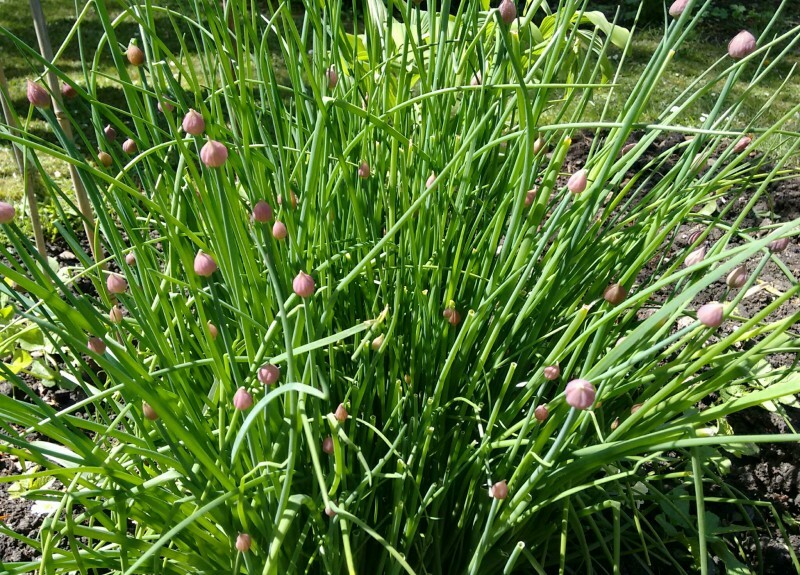 The kitchen will be filled with the aromas of the various herbs by this stage – my family came running from all ends of the house and garden! Drain the fritters on kitchen towel and serve immediately with your choice of dip. Barba Juan, or Barbagiuai if you’re over in Liguria translates as ‘Uncle John’ and the relevance of the name for this delicious, local dish remains a mystery for most. In his book ‘Flavours of the Riviera’, Colman Andrews offers one or two possible explanations, and the one that seems most plausible is that in Nice years ago the term barbajouan meant simpleton. Whilst Barba Juan was indeed a simple dish incorporating produce available locally, this is perhaps not the most satisfying term to use to describe it. So what is Barba Juan? 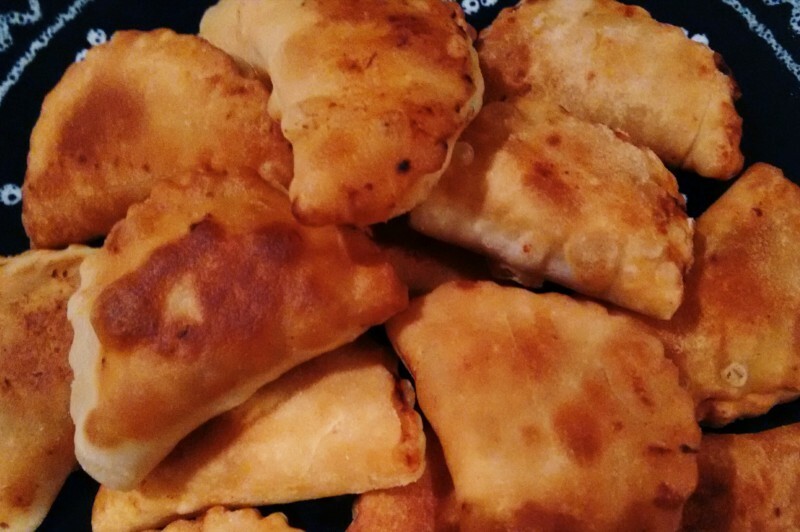 It’s often described as fried ravioli though most recipes use a much heavier dough mix than is typical for pasta. Small pockets of a pastry-like dough were stuffed with vegetables and cheese, with the addition of rice and ham being quite common too. 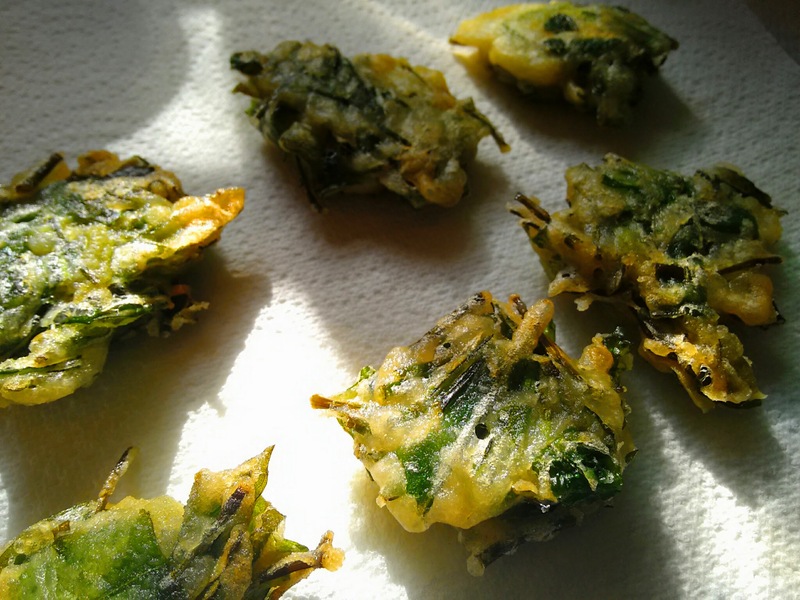 These little pouches of tastiness were then shallow-fried in olive oil. The result is more like an English vegetable pasty than anything to do with ravioli, in my opinion, and the author of ‘The Cuisine of the Sun’, Mireille Johnston, has them down as pastry turnovers. The pastry is usually made from flour, olive oil and a little egg, adding water where necessary to form a smooth dough. I was intrigued, however, by a recipe from the province of Savona in Liguria which suggested using the local Vermentino wine to bind the dough and I have given details in the recipe below (it works! ), but you could use water instead. In the winter months, the main vegetable used for the filling would be some form of squash (which I favoured for my experiments with the recipe), whilst in spring and summer, chard or spinach were more common ingredients (that will follow – watch this space……). Jacques Médecin, writing in ‘Cuisine Niçoise’, informs us that this latter, summertime version should be called boussotou. 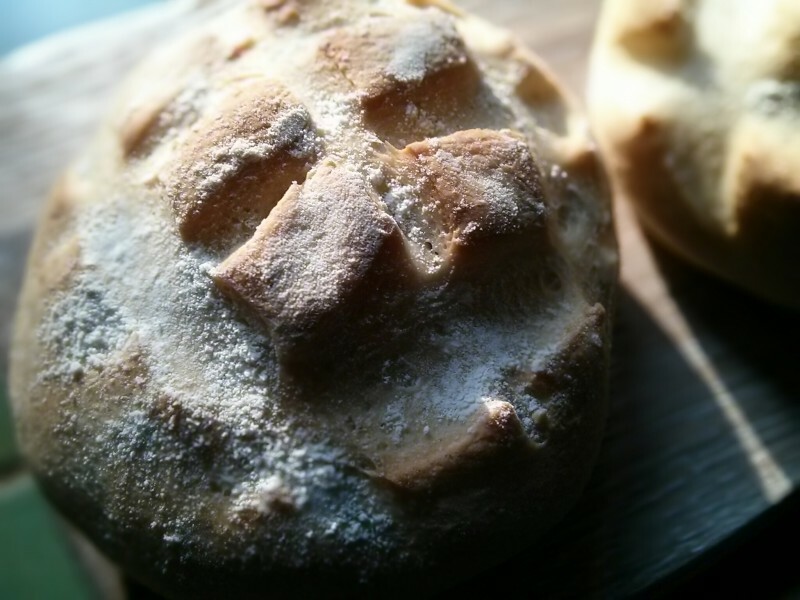 Barba Juan are not difficult to make – the dough is easy. As a canapé, they’re perfect! We munched happily on our ‘pasties’ on the terrace on a sunny, early Spring evening with a glass of Rolle bien sûr! Mix together the filling ingredients – squash, ricotta, egg, parmesan and oregano – using a food mixer or a hand-held masher. Keep cool in the fridge. 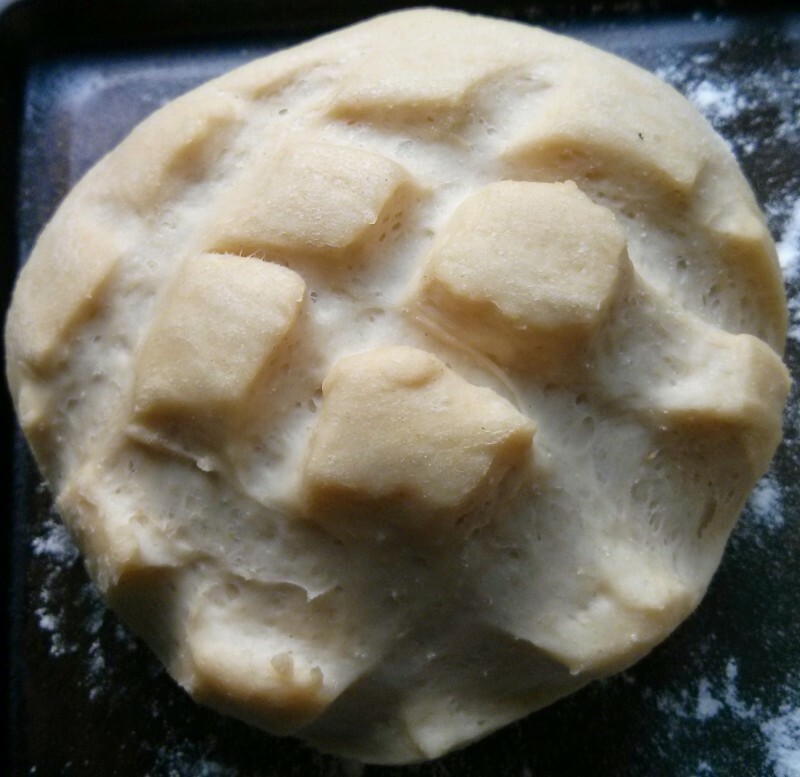 In a bowl, bind the plain flour and olive oil then add wine or water until you have a smooth, heavy dough. Leave the dough to rest in the fridge, wrapped in film, for an hour or two. When you are ready, roll the pastry out to 2mm thick and cut with a round pastry cutter that is 7cm in diameter. This will make canapé-sized turnovers but you could make larger ones to serve as a starter or for a picnic lunch. 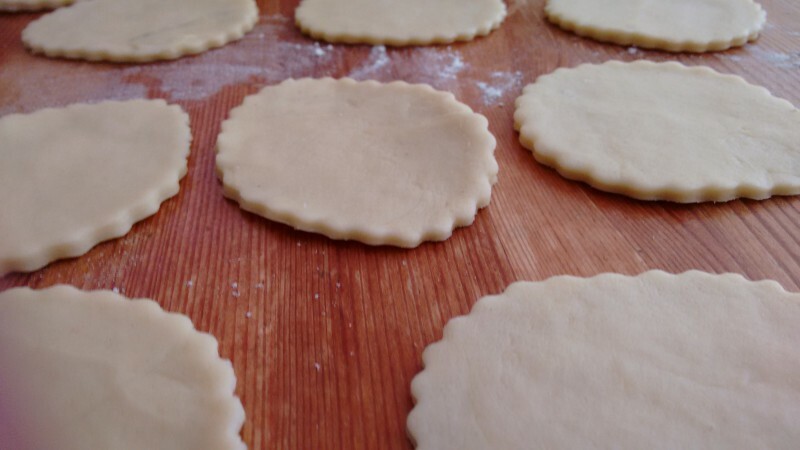 Place a teaspoon of filling on each circle of pastry, brush the edges with a little water and seal. Fill a large frying pan with olive oil to a depth of 3cm and heat it up until hot. Add a few pasties at a time and turn them over part way during cooking, ensuring that they are beautifully browned on either side. Serve as soon as possible. January seems the perfect time of year for a hearty beef casserole, a warming, bold dish full of protein and lower on fat than much of the standard Christmas fayre, unless you incorporate lard into your recipe as Jacques Médecin does in his book Cuisine Niçoise. With just a handful of lardons to add that extra bit of flavour to my daube, I set out on the two, three even four day process involved in getting the most from this dish, and as usual debated with myself on the following dilemma: with or without olives, tomatoes or none? Given that we are in January, the answer right now is a sound no to both, but a Daube Niçoise will usually include these ingredients whilst a Daube Provençale from further west would often omit them, going for orange rind and more herbs instead. Day One – prepare the marinade for the beef (carrots, onion, celery, orange zest, garlic, herbs, red wine), and leave it to sit in a cool place overnight. Day Two – retrieve the beef from the marinade and cook the daube according to the recipe instructions. The cooking process is long and slow – you can never overcook a daube we are told in Colman Andrews’ Flavours of the Riviera. You can eat the daube on Day Two should you wish, but rest assured that if you leave it until Day Three the flavours will have developed still further. Day Three – eat the daube. If you have followed the above advice, you will have sufficient leftovers for Day Four, or for another day as they freeze well. 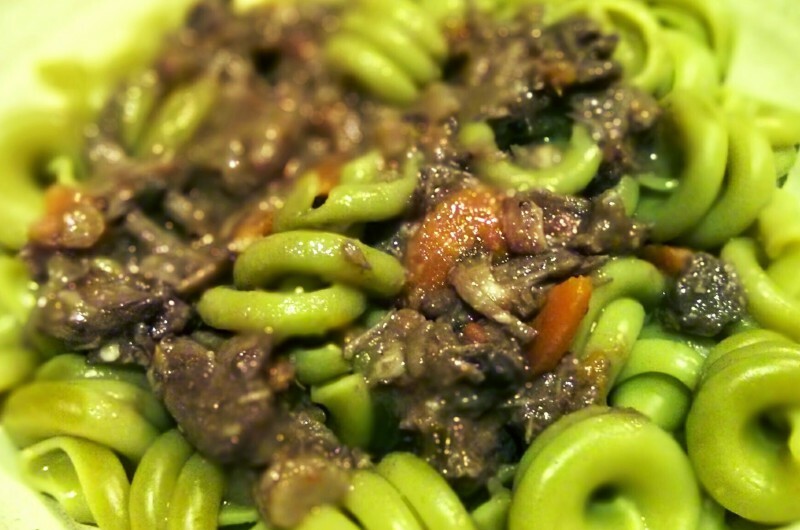 Day Four – make pasta and use the leftover daube as a stuffing for ravioli. Top with grated parmesan. A post on ravioli-making will follow soon. Go with red wines to match these two dishes. For the daube, a Coteaux d’Aix or a village Rhône like Gigondas or Vacqueyras. With the addition of pasta and grated parmesan to finish, the ravioli is fun with a Corsican sangiovese-a-like red or a Bellet. 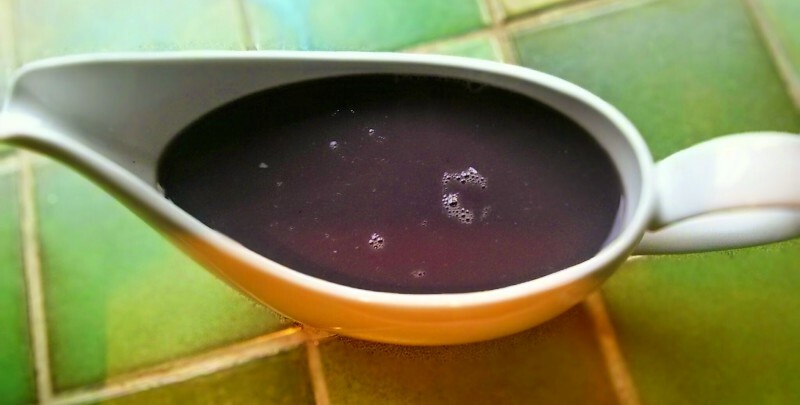 Place the dry marinade ingredients in a large bowl. Add the beef and pour over the red wine. Mix well and cover. Place in the fridge or a very cool place and leave overnight. In the morning or when you are ready to cook, lift the meat out of the marinade. Strain the liquid from the solid ingredients and reserve both. Dry the beef pieces on kitchen towel. In a large frying pan with a lid, fry the lardons until crispy. Remove from the pan and set aside. Gently fry the chopped red onion in the lardon fat until soft. Set the onion aside with the lardons. Add the olive oil to the pan and sauté the beef chunks in batches, a third at a time, until browned on all sides. Set the beef aside. Tip the solid marinade ingredients into the pan and heat briefly in any remaining olive oil until they start to sizzle. 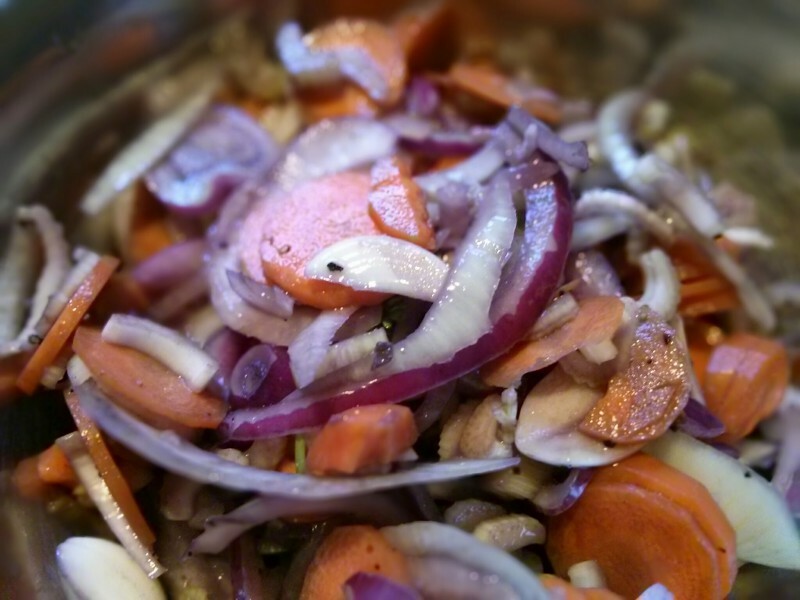 Add the red onion, lardons and beef and cook for a further five minutes, stirring regularly. Tip in the marinade liquid and add boiling water if necessary to cover all the ingredients. Stir to mix everything and then cook very gently, with the lid on the pan, for three to four hours. Stir occasionally and add more wine if the daube gets too thick. Taste and season with salt and pepper as required. The daube will be fine to eat at this stage but you could leave it to cool and refrigerate it until the next day. Remove the daube from the fridge and skim off any fat sitting on the top of it. Reheat carefully over a very low heat until cooked through. Serve with gnocchi or spinach pasta tossed in butter and parsley. Ravioli (Day Four): To be continued……. 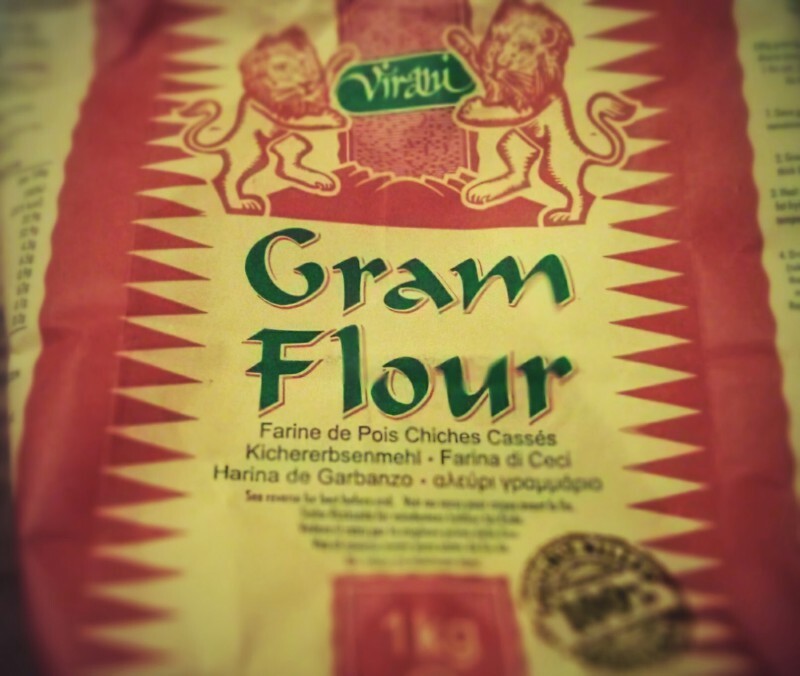 I’ve written about chickpea flour before. On the Côte d’Azur and over in Liguria it’s the common ingredient for delicious pancakes cooked in large, flat copper pans. Topped only with black pepper in Nice where it’s called socca, Ligurians often add herbs or thinly sliced onions to their farinata. A pancake made with chickpea flour is something altogether different from one made with white flour. The chickpea flour which is also known as gram, besan and garbanzo bean flour, gives a nutty flavour and a much denser texture, making the pancake more filling and tastier (in my opinion), plus it has the added benefit of being gluten free. Given such advantages, this kitchen has witnessed a few experiments with chickpea flour this year, some more successful than others, but my latest creation was a triumph and I judge this by the enthusiasm shown for it by my husband and children. They act as excellent barometers of what works and what doesn’t, so the recipe for mini olive and onion muffins is below. The mixture makes about 30 canapé-sized mouthfuls and feel free to add finely grated parmesan to the batter should you wish. These easy-to-make morsels would be perfect over the holiday season with a glass of fizz or a fresh, dry white. 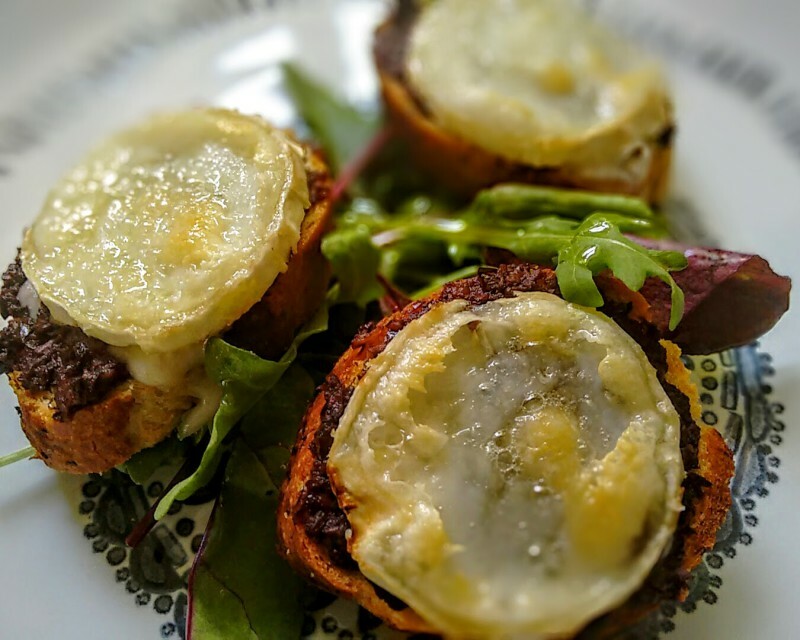 You will need a mini muffin tin for this recipe. Set the oven to 200°C. Sauté the chopped onion in olive oil until soft. Leave to cool. Beat the eggs, add the yogurt to them and mix until combined. Sieve the chickpea flour into the mixture to lessen the likelihood of a lumpy batter. To this batter add the cooled onion, the olives, salt and cheese (if using). Give the whole lot a really good stir. 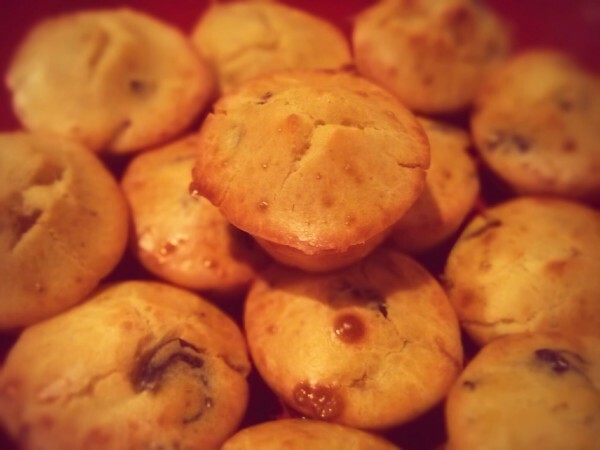 Using a pastry brush, grease a mini muffin tin with olive oil. Pop it in the warmed oven for a minute or so to warm up the oil, then take it out and distribute the muffin mix evenly so that the mixture in each recess is level with the top of the tin. 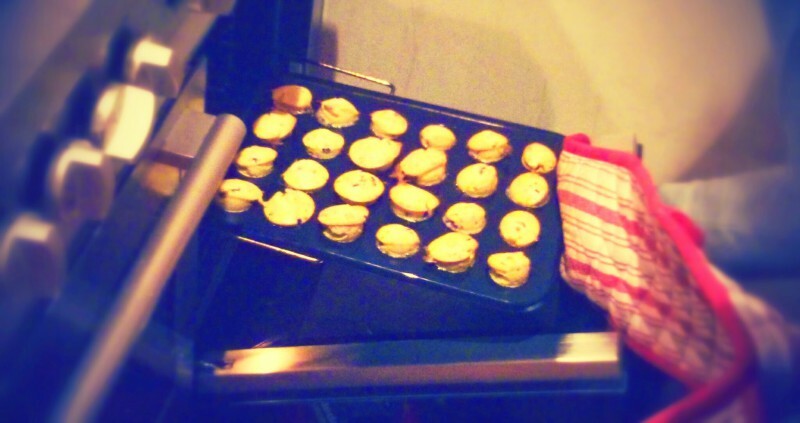 Bake in the oven for approximately 15 minutes or until the muffins are browned on top and slightly risen. Do watch them though as oven temperatures can vary. Pop the muffins out of the tin and eat straight away while still hot. For friends of ours who also lived in the area some years ago, any visit back to Nice involves a search for the perfect pan bagnat, and until this most basic of food cravings is satisfied, no trip is complete. Inspired by their enthusiasm, we have become fans too and were lucky enough to have double helpings during our last stay. It’s always fun to see how each ban bagnat varies slightly from the next. You may have already seen a photo of the pan bagnat we found at La Fougasserie in Nice this summer, but our base on this trip was Roquebrune Cap Martin and on my morning strolls down to the popular Boulangerie Rey & Fils I endured several mouthwatering encounters with their freshly-made, stuffed rolls which would stare out at me from behind the counter. But I was only there for a breakfast baguette and so, morning after morning, I resisted temptation, and if you check out the photo at the top of this post you will see how difficult this was. Towards the end of the week, however, I found proper, unfilled pan bagnat rolls for sale in Monaco – large ones and this is important. There’s a lot of filling to pile into one of these sandwiches. With these perfectly designed, beautiful rolls appearing before me unexpectedly, I gave in. It was time for the DIY pan bagnat. So what is this irresistible speciality? Its literal meaning is soaked bread, and years ago it was a salad using the same vegetables and fish we see in today’s ‘sandwich’. Back then torn pieces of stale bread were thrown into the salad and they would soak up the olive oil, vinegar and the juice from the tomatoes. Nowadays things have perhaps become more convenient and the aforementioned ‘croutons’ have been replaced by white bread rolls into which the same salad and fish mixture is stuffed. 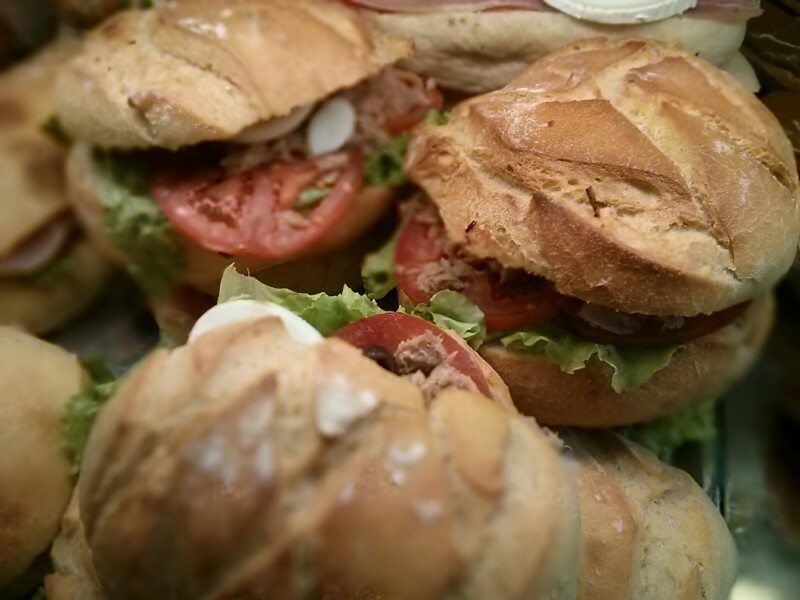 Essentially pan bagnat is salade niçoise in a roll. The fundamental fillings include tuna and/or anchovies, sliced tomatoes, black olives, sliced hardboiled eggs, and a variety of other ingredients according to who you believe: radishes, green peppers, spring or regular onions, broad beans, tender baby artichokes, gem lettuce, cucumber and basil all get a mention in someone’s pan bagnat. The whole mixture is bound together with a generous slug of extra virgin olive oil and a splash of vinegar. We enjoyed our ‘homemade’ pan bagnat sitting out on the terrace with a view straight across the bay to Monaco, a glass of chilled provençal rosé proving to be a happy pairing. Back here in the UK, it’s virtually impossible to find bread rolls of the right dimension so I’ve experimented with making my own – see below for details. Some recipes talk about hollowing out the roll and weighting down the stuffed sandwich for two or three hours. Do try it if you have the willpower. I, unfortunately, do not. Choose your own fillings from the long list already mentioned. 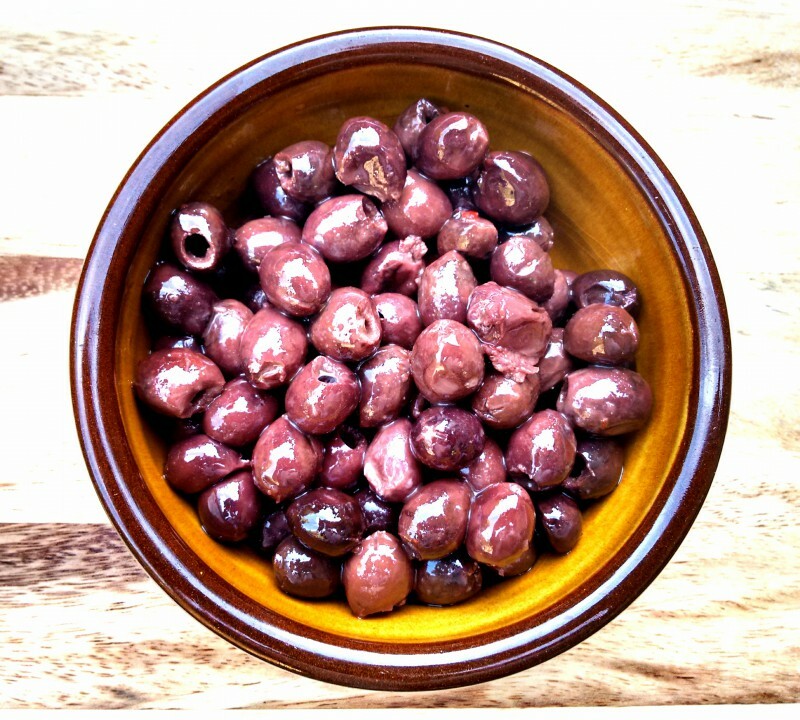 In lieu of pitted black olives which have a tendency to fall out of the roll while you’re eating it, I like to whizz up a handful of them with a little olive oil to make a spread for one side of the roll. And do add a squeeze of lemon juice if you dare. I like to but traditionalists will tell you it is not the thing. Add the liquid to the dried ingredients and mix either in a food mixer with a dough hook or by hand. Follow mixer instructions or kneed by hand for up to 10 minutes until you have a soft dough that’s not sticky. Form into a ball, place in a large, oiled bowl and cover with a cloth. Leave to stand in the kitchen, away from draughts, for an hour or until the dough has at least doubled in size. When the dough has risen, cut it into four equal parts. Form into round bread roll shapes. Flour two baking trays and place two rolls on each – make sure they are well spread out on the tray as they will expand further. Leave again, covered, for another hour. After half an hour, pre-heat your oven to 220°C. After an hour, the rolls should have risen considerably. Sprinkle them with flour and place them in the oven. Bake for 12 minutes or until nicely browned on the top. Cool, assemble and enjoy…..